Need a colourful presence on the web? Easystreet is here for Northwest B.C. Locally owned business with emphasis on quality products and services. 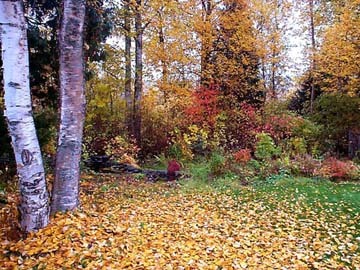 An ordinary autumn backyard in Terrace B.C. Easystreet focuses on the fine aspects of Northwest Canadian living. This area is unique and worth our appreciation. Support yourself and your community.